I hate when an application gets updated and then you have to remember how to make settings work that already worked previously. So I am making this post as a reminder since it seems to not be a lot of info about it online. 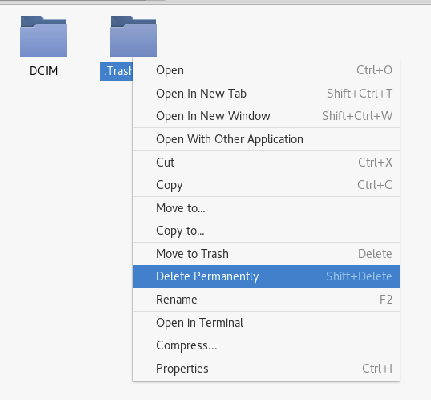 If you don’t want to send things you delete to trash, which then requires you to go empty trash for it to really be deleted ….. then add a “Delete Permanently” to your right-click menu items. This is a really simple fix which will block the user enumeration on a wordpress site (like the method by wpscan). Before I get into this, I am very well aware of the IfIsEvil page on nginx wiki. But it also says on this page, “The only 100% safe things which may be done inside if in location context are: return and rewrite as the last statement in a location block” With that in mind, we are going to use ONLY rewrite as the last statement in our location block. The fix is really simple…..